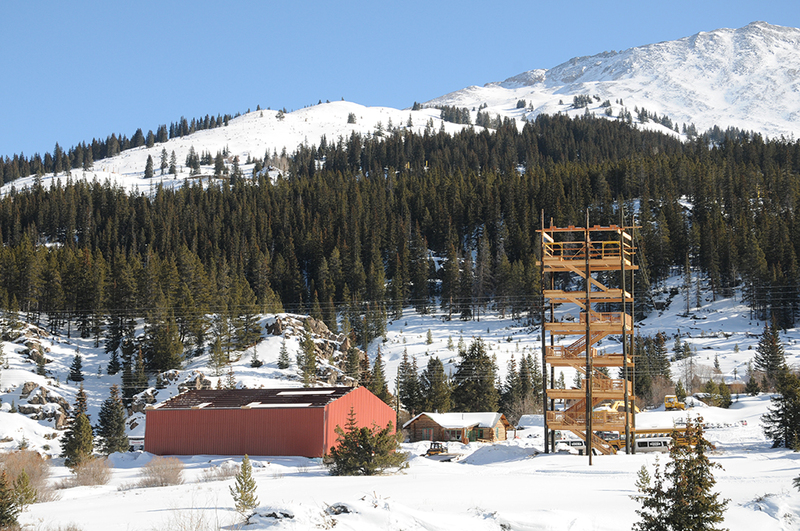 5-Hour ZIP LINE/SNOWMOBILE COMBO W/ LUNCH: 9:00 a.m. 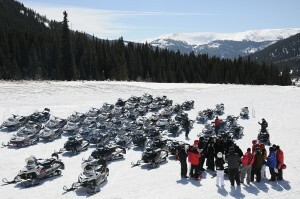 Single Rider on a Polaris 550 RMK, Performance Snowmobile Tour plus lunch and zip line. Single Rider on a Prospector Tour plus lunch and zip line. Driver and Adult Passenger on a Prospector Snowmobile Tour plus lunch and zip line. Driver w/Child Passenger 7 – 12 on a Prospector Snowmobile Tour plus lunch and zip line. Child passenger riding with guide. Our fleet includes top of the line Polaris 550 RMKs and Grand Touring snowmobiles. Complimentary insulated coveralls and boots are available, but wearing personal ski apparel is perfectly acceptable and recommended. Helmets are mandatory and provided free of charge. Ski helmets are not acceptable for snowmobiling. Bring warm gloves, goggles or sunglasses for eye protection as we do not provide these items. Pregnant women and children under four years old cannot participate in snowmobiling. Children 4, 5, and 6 are $25 each with an adult driver. No more than 2 persons may ride on a snowmobile. A 15 year old with valid learners permit may drive a snowmobile, but no one under the age of 18 can carry a passenger. Pregnant women and children under 50 Pounds may not zip line. Maximum weight for zip line is 260 pounds, minimum weight is 50 pounds. 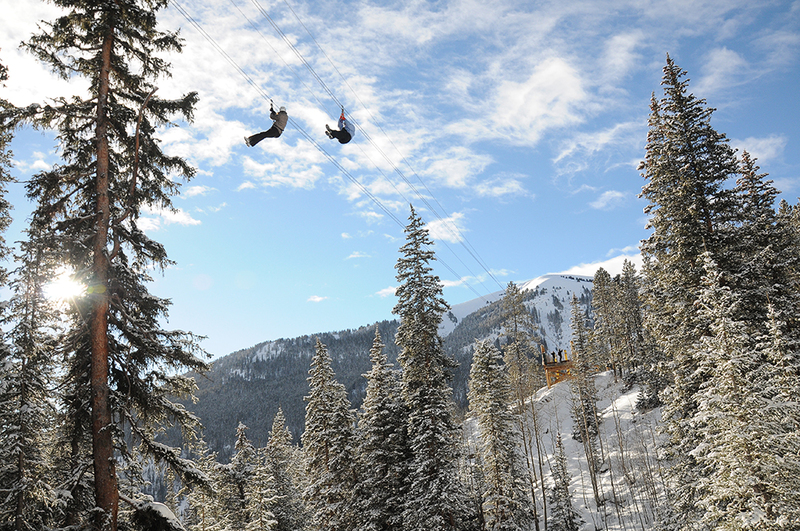 Our Zip Line is licensed by the State of Colorado and inspected to the highest standards in the industry. Zip Line guides are trained and certified in all aspects of zip line operation. Complimentary transportation can be provided from local hotels and condos. Ask about pickup at private homes for large groups. Reservations are recommended for all tours. A credit card number is required to hold the space but payment is not required until check-in at tour time. We have a 48 hour non-refundable cancellation policy. At check-in, guests must present a valid credit card to be used in the event of damage. Reservations cancelled or changed within 24 hours of the activity date will be non-refundable. For example, If you reserve 6 snowmobiles, and on the day of your trip you end up only taking 5 snowmobiles, you will still be charged for 6 snowmobiles. If you call to cancel the day of your tour, the Credit Card will be charged for the tours you reserved at the agreed price, with No refund. Trips can be rescheduled for another date with a 50% discount. All tours go snow or shine. We do not cancel tours if it is snowing. ARRIVAL TIME FOR CHECK IN AT THE BASE CAMP IS 30 MINUTES PRIOR TO TOUR TIME. PICK-UP TIMES IN BRECKENRIDGE AND KEYSTONE ARE 7:45 A.M., 10:45 A.M., AND 1:45 P.M. COPPER MOUNTAIN PICKUP TIMES are 8:15 A.M., 11:15 A.M., AND 2:15 P.M.
All tour participants must complete and sign a standard liability waiver.